My good friend, Sherri, from Alaska just keeps making the most beautiful Chevron/Zigzag, quilts. She is an expert at 1/2 square triangles! I love the springiness of this one - the colors just speak to me. I'm in love with aqua & orange lately. She wanted me to quilt an all-over simple stipple - I will always love stippling! 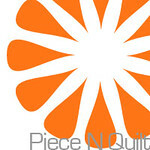 The background is little bity orange squares - perfect! 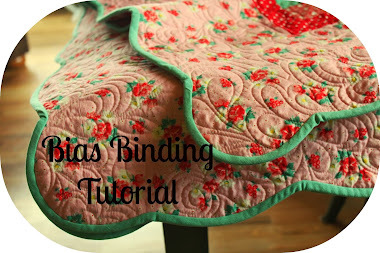 Aqua binding - so pretty! And the backing is a very sweet aqua floral - wish I had an entire bolt of that one! Look at that little bit of orange peeking through all the lovely aqua. 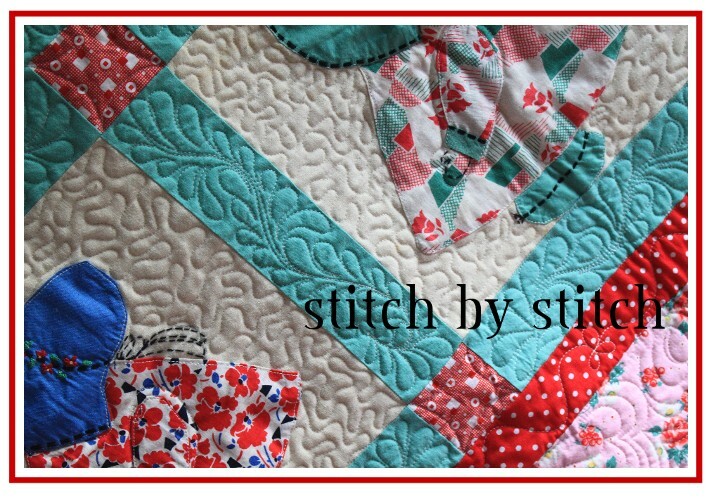 Sherri made another lovely quilt I'll share with you later - with a tutorial! I too really like the aqua and orange. Glad you gave a close-up of the little itty bitty orange squares as I was squinting to see if they were dots! LOL!!! Happy Mother's Day!